Topamax, manufactured by Janssen Pharmaceutical (Johnson & Johnson) is known as an anticonvulsant medication. Topamax has various uses but it is most commonly given to patients with epilepsy as a means to prevent seizures and also way to prevent migraines. However, these are not the only uses for this powerful anticonvulsant medication. There are a variety of off-label uses for Topamax, such as weight loss, treatment for headaches, cluster headaches, anxiety, treatment for bulimia nervosa, smoking cessation, and many other conditions. It is often given to teenage girls for weight control, bulimia, and even acne control, though there is no empirical evidence it works for that purpose. One of the major problems with Topamax is that is considered a teratogen, meaning it can cause birth defects to fetus when the mother is exposed to the medication or substance during her pregnancy. There were a number of Topamax lawsuits in Boston and across the nation after it was found to cause these serious birth defects in adult patient’s unborn children. As a result of this, doctors are now required to ask women if they are sexually active, and if so, they are supposed to counsel these women about contraceptive options, and strongly recommend against becoming pregnant while taking Topamax. However, according to a recent story from 9 News, a research surveillance study conducted at hospital in the Midwestern United States is showing that many teen girls who are being prescribed Topamax are not being given any advice about birth control options or being told to avoid getting pregnant while taking the drug. Specifically, the study found that of the 1,700 female patients between the age of 17 and 25 whose records were reviewed, they were prescribed more than 4,000 taratogenic medications including Topamax. This of course means that many patients were prescribed more than one type of medication during the four-year period the records were examined. Of these 1,700 young women, around 70 percent of them were given no warnings at all that they should avoid becoming pregnant while taking the medications. This is a serious problem and could leave many women with pregnancies that involve serious birth defects. The other medications besides Topamax that were given and considered to be teratogens were, Valium (diazepam), Trexall/Reasuvo (cancer treatment), Isotretinoin for treatment of severe acne, and Vasotec for treatment of high blood pressure. There a variety of reasons suspected for this potentially dangerous failure to adequately warn that could lead to serious injury and a dangerous drug lawsuit. 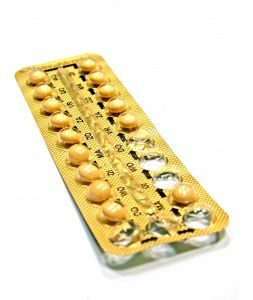 One of the reasons is that many doctors who are prescribing Topamax are neurologists, oncologists, and dermatologists who might all be assuming the patient’s primary care doctor or gynecologist already spoke to them about using birth control. However, with these extreme risks of birth defects, these doctors should not be assuming the patient was already warned, as we have seen from this study data. There is also a question as to whether any of these prescribing doctors warned their patients about the dangers of birth defects and recommended against becoming pregnant, bud did not offer any specific advice on the use of contraceptives.